PGDCA/ M.Sc (IT) with minimum 50% marks. Should have basic knowledge of handling of accounts /documents/ equipment maintenance/ man mgmt. Age Limit : Upper age limit should be 40 years for fresh candidates & 57 years for experienced candidates. 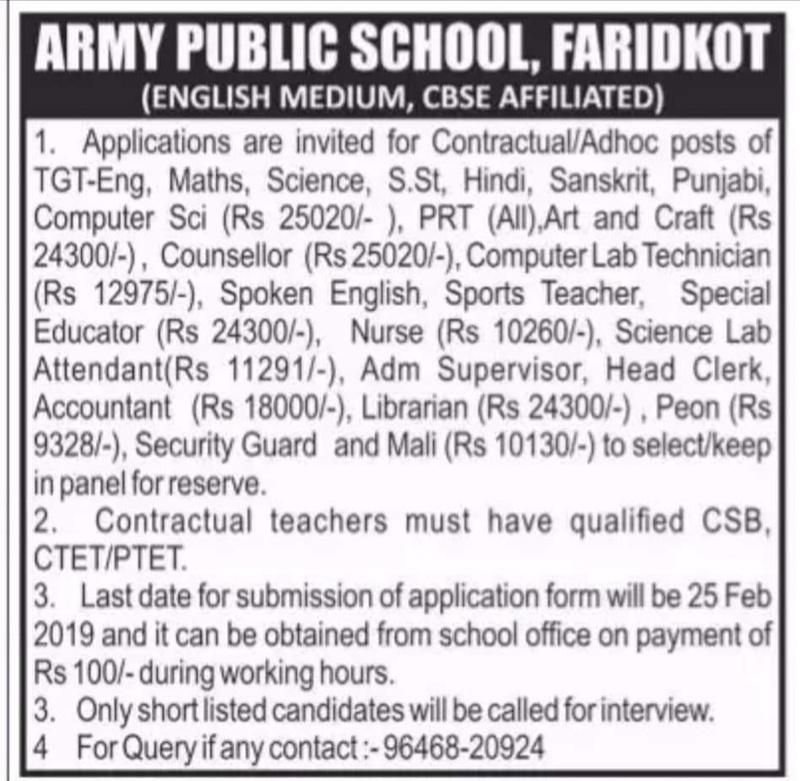 Eligible candidate may send/submit their duly filled application forms along with the copies of duly attested testimonials at School Address (Army public School, Faridkot) before 25.02.2019. Interview dates & venue send only to shortlisted candidates.